How do you keep your Android phone secure? Are you sure that nobody is prying onto the bank details or the credit card details that you enter to the web page? Many people prefer Android mobile phones against Apple because they offer a lot more function and are cheaper. However, the only disadvantage is that Android phones can be easily hacked or get attacked by a virus. Luckily, every problem has a solution, and this one is no different. By simply downloading an Android security app you are increasing the safety, and keeping yourself safe from hackers and phishing attempts. One of the best free security apps, 360 Security is used by more than 200 million users worldwide. 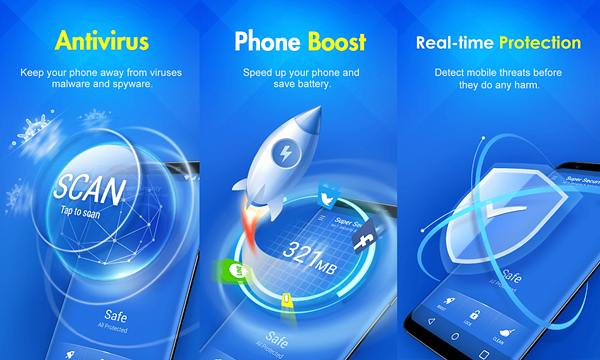 Apart from protecting your phone from virus attacks, the application also boosts speed, optimizes background apps, prolongs battery life, protects stored memory, and deletes junk files. It offers a multi-function lock screen, using which you can play music, turn on the dial, camera, and flashlight, and switch on or off Wi-Fi and Bluetooth. You can also use it to check weather reports and forecasts and manage your music player. Other features offered include call and message filter, app manager, intruder selfie (clicks selfie of a person who tries to break in the phone or any apps), and fingerprint lock. An award-winning secure Android phone app, Norton Security and Antivirus come in two versions — free and premium. In the free version, your phone is protected from malware, Android virus, and spyware, system check to see if the public Wi-Fi you’re connecting to is completely safe, prohibiting entry of unsafe websites on the web browsers, blocking unwanted phone numbers, and phone tracking when lost. Along with these features, you receive ransomware protection, Android system advisor, real-time fraud and spam phone number updates, and privacy report in the premium version. You can get a free trial of the premium version for 30 days. 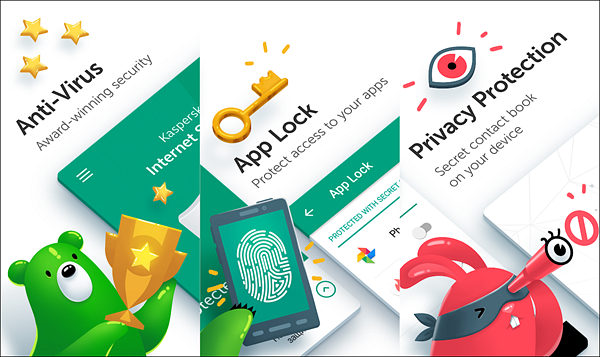 With over two million five-star reviews, Kaspersky is unarguably the best security app for Android mobile phones. It is completely free of cost and offers a new feature called App Lock, which protects your apps from prying eyes. Its Anti-Phishing feature is what we love the most as it protects and secures financial information like bank details and social security number when you are shopping online. 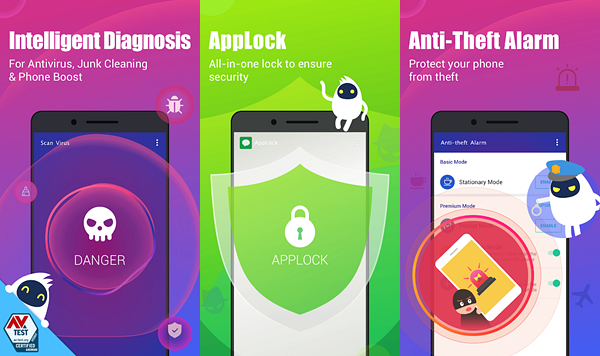 More features offered by the free antivirus app include App Lock, call blocker, find my phone, antivirus protection, Anti-Theft, and background check. Security Master offers the best security for Android phones. One of its highlighting features is Intelligent Diagnosis, which is an all-in-one package the detects phone status, boosts speed and prolongs battery life, cleans junk, and protects from multiple phone viruses. 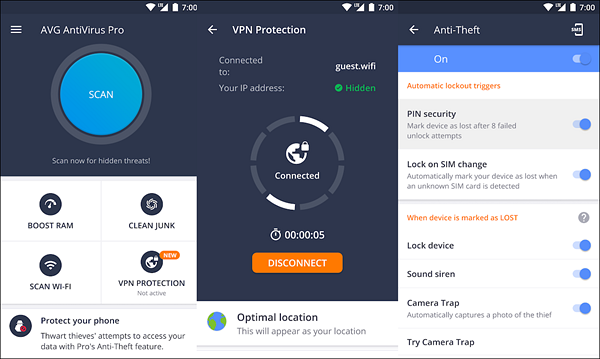 Another feature called SafeConnect VPN enables high speed and free VPN, which helps you access sensitive websites that can’t be visited because of your country’s location. A virtual location of another country is made available, and all online activities are protected. The Message Security feature promptly hides messages protect your privacy and also makes them easier to manage and read. An interesting feature offered by this security app is Disguise Cover, which creates a fake lock screen so that no one knows you are using App Lock. 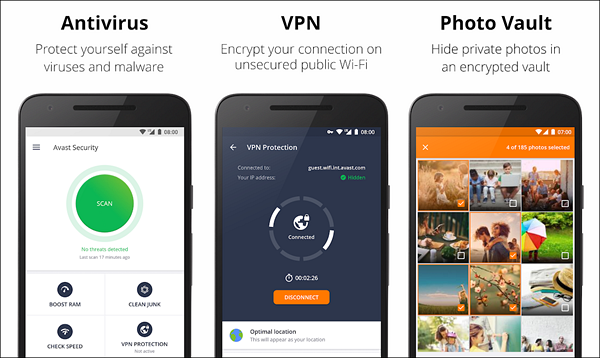 One of the oldest and best security for Android mobile, Avast Mobile Security has over 100 million downloads from around the world. The app has a special feature that many other security apps don’t offer called Photo Vault. It is an encrypted location on your phone where you can save and hide private photos. The VPN features hide your online activities, thereby protecting you from virus threats. Along with protecting your phone, the mobile app offers many premium features for free. These include Sim Security, using which you can register your phone as lost after Sim change; App Lock, to protect data from others; and Avast Direct Support, which is a dedicated customer service platform where you receive immediate responses for your queries. If you purchase the premium version, all ads disappear. 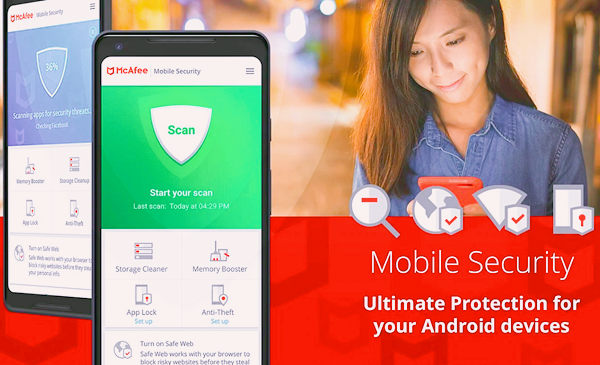 Mobile Security is a security app offered by McAfee, a trusted anti-virus brand for decades. 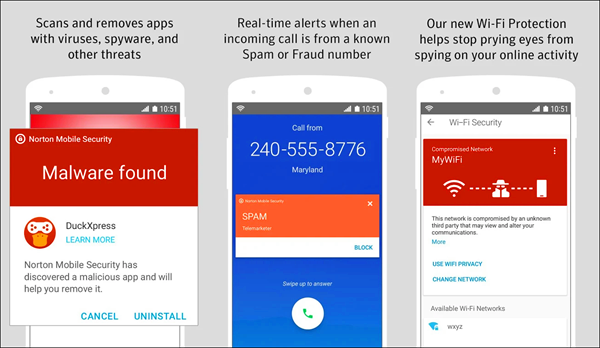 It is one of the free security apps for an Android phone, but there are a few in-app purchase features that strengthen mobile security. The interactive user design makes it easy to navigate around. Performance Optimizer, which includes battery booster, memory booster, storage cleaner, and data usage tracking. 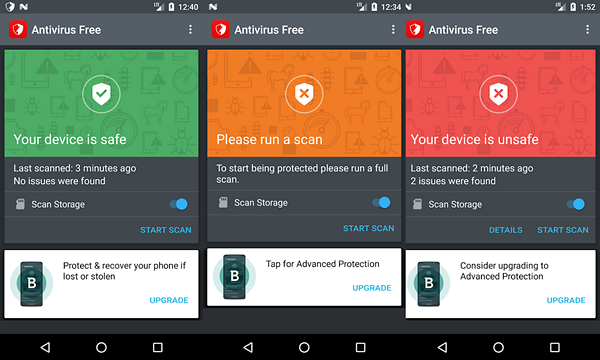 An advanced virus protection for Android that offers in-the-cloud scanning technology, Bitdefender Antivirus Free has an autopilot mode that scans newly installed mobile applications for virus threats and security breaches. It comes with the Feather-Light Performance feature that conducts scans and virus checks without decreasing battery life. Both free and premium versions offer protection against all types of types of mobile viruses. In case you lose your phone, you can find it using this app. One of the best phone security apps you’ll ever find, Super Security scans your phone at hyper-fast speeds. You don’t have to pay anything for downloading the app, but there are some in-app purchases you can buy for superior protection. It performs a test called TOP AV-TEST, scans your phone and removes virus at the same time. The Android Phone Booster notifies you in case of junk files build-up, which you can clear with one click to improve operation speed. It also comes with the App Lock that protects all your mobile applications with a password, pin code, or fingerprint lock. AVG AntiVirus offers the best antivirus for Android, and its 100 million trusted users are proof to it. 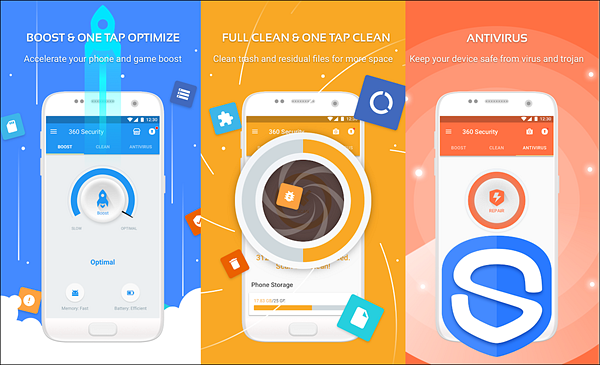 The app scans all types of apps including games for viruses and boosts speed by automatically cleaning tasks that aren’t required. Power Save feature comes in handy to save battery life when you are out and low on battery. Since it is connected with Google Maps™, you can use the app to track your lost Android phone. It comes with a feature that doesn’t let delete the app unless you enter a passcode, so the thief won’t be able to delete it or reset your phone. 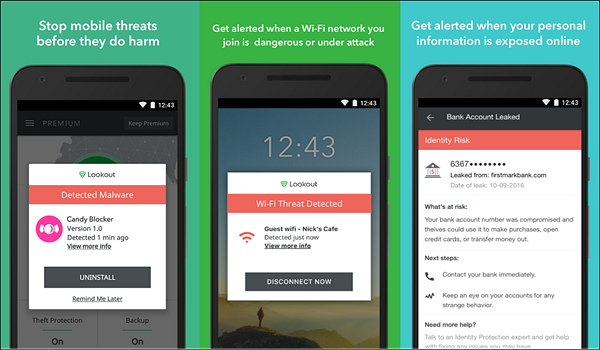 Lookout Security is a simple antivirus app that protects your mobile phone from unknown public Wi-Fi connections. The Identity Theft Protection features offer three functions, which include SSN Watch, Social Media Watch, and Cyber Watch. More features include 24/7 Restoration Assistance, $1M Identity Theft Insurance, and Lost Wallet Recovery. In addition to the mobile phone security applications mentioned above, there is still a must-have software for Android users. Yes, it’s Gihosoft Free Android Data Recovery. 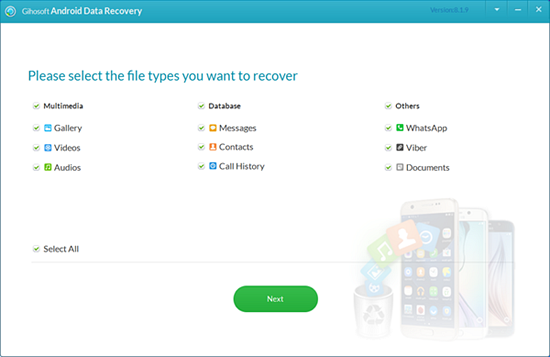 Just as its name suggests, it is a professional data recovery software designed to help Android users recover deleted files from their mobile phones. If your personal data or media files are lost or deleted by mistake, it will be the best assistant. All apps are equally good when it comes to virus protection. However, if you want our opinion, we like Mobile Security: Antivirus, Anti-Theft & Safe Web by McAfee and Bitdefender Antivirus Free the most. These apps offer extra features like conducting scans without affecting battery life and Anti-Theft Uninstall Protection, which protect your phone on the move.